We heard in The Letter to the Hebrews: Sacrifice and offering you did not desire, but a body you prepared for me. A body is not a just physical specimen. It results from a network of relationships, of behavior, perceptions and modes of living. A body mediates both contact with its environment and understanding of its place and purpose in the world. A body is literally composed of the elements and energies that shape the universe. At the same time it displays a spiritual capacity, capturing worlds seen and unseen, transcending itself through the mind and intangible consciousness generated by its nervous system. More than any sacrifice, my body mediates creation to myself, and in the communion of worship, mediates me, the creature, to the Creator. I come to do your will, O God: I cannot so act without such a body. The mind that arises from this body is what is capable of conceiving God and the Divine will. God is the pre-history of my embodiment, my incarnation. There is also a human pre-history, not only co-operating with the Divine initiative, but bringing her own pre-history, initiative and desire to this embodiment. 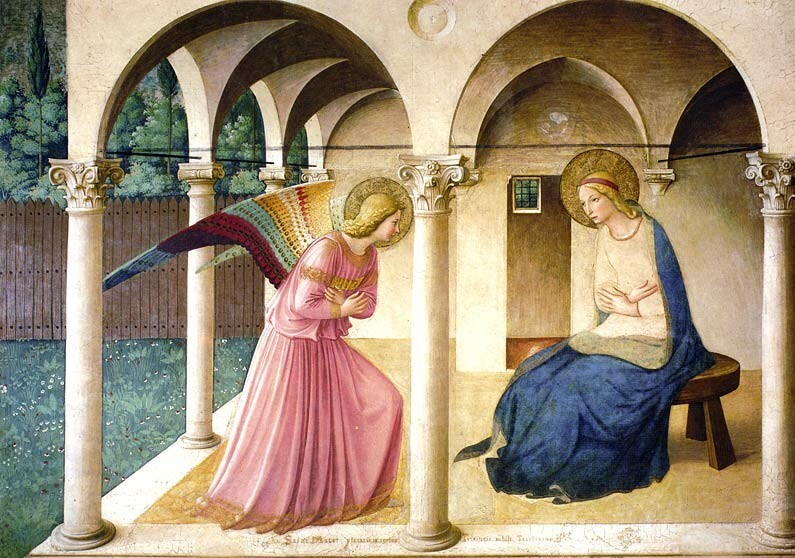 In the incarnation of God’s Word, the two coincide, unequal, but equally necessary, in the consent of Mary to God. Though that incarnation shares the same wonder found in every human incarnation, it is also unique. The eternal and infinite Word of God assumes the confines of human nature, engaging all created nature: the elements, the energies, the procession of the unfolding universe. The Word incarnate, in turn, generates a collective body of believers, animated by faith and communion, generated in time by the sacrifice of Calvary, confirmed by God in the Resurrection, and fed daily by the sacramental sacrifice on our altar. We will never gestate that body as Mary did in her womb, but as the members of her Son’s body, we may incarnate his life, for we have been consecrated through the offering of the Body of Jesus Christ once for all.